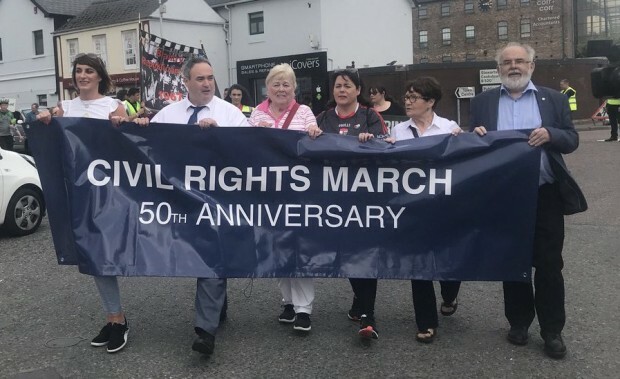 Hundreds of people took part in a commemoration in Tyrone yesterday to mark the 50th anniversary of the first civil rights march to be held in the north. 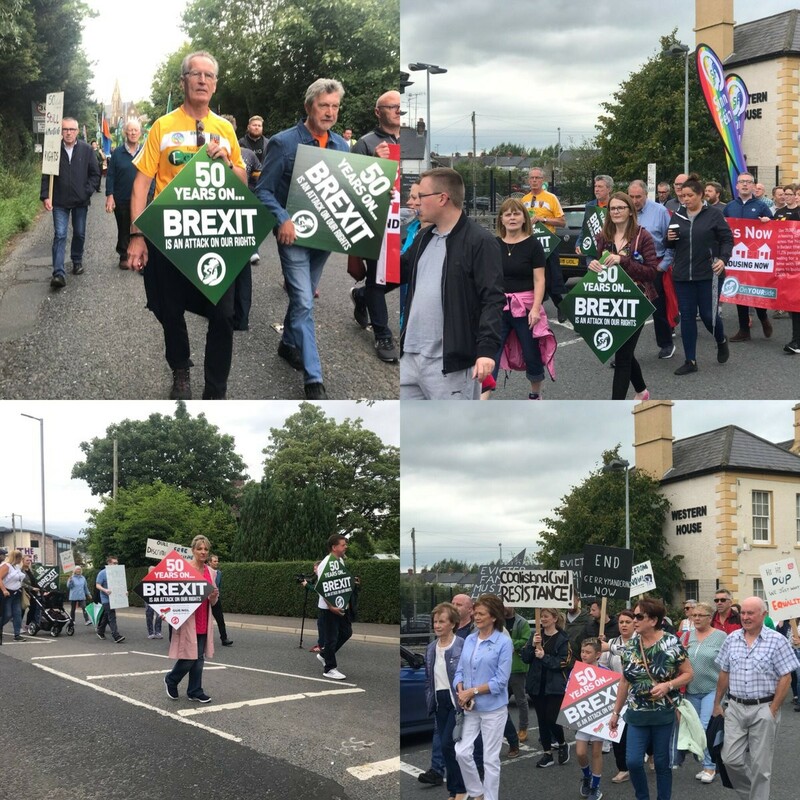 The march retraced the steps of the original march from Coalisland to Dungannon and was attended by Sinn Féin representatives from across the north. It was led by Mid Ulster Sinn Féin MP Francie Molloy, who took part in the original march 50 years ago as a steward. Marchers carried replicas of the posters carried by the original march, reading 'One man, one vote,' 'Equal housing now' as well as banners referring to the Caledon housing protest which was the motivation for the march. Contemporary posters on the threat posed to Brexit to rights were also carried by marchers. In 1968 the original march was stopped before it reached the Square in Dungannon by the RUC because loyalist protestors staged a counter demonstration. This time, however, the march reached its destination where speeches were made by Francie Molloy, local MLA Colm Gildernew and Fermanagh/South Tyrone MP Michelle Gildernew. The main speaker of the march was veteran republican and civil rights activist Mictchel McLaughlin. In his speech, the former Assembly Speaker said tat much has changed in the last five decades and that we are on the verge of a major shift towards Irish unity. "The Orange state is now gone and we now have a peaceful and democratic way forward. “This is a very different place than it was in 1968 and I am convinced that we are now on the verge of another seismic shift towards a new, agreed and united Ireland that will provide a prosperous and shared future for all our citizens," he said. But Mr McLaughlin also warned that our rights are still under threat today from Brexit and the right wing alliance between the Tories and the DUP. “My deep concern is that there are still people who want to deny rights and equality to their fellow citizens today. 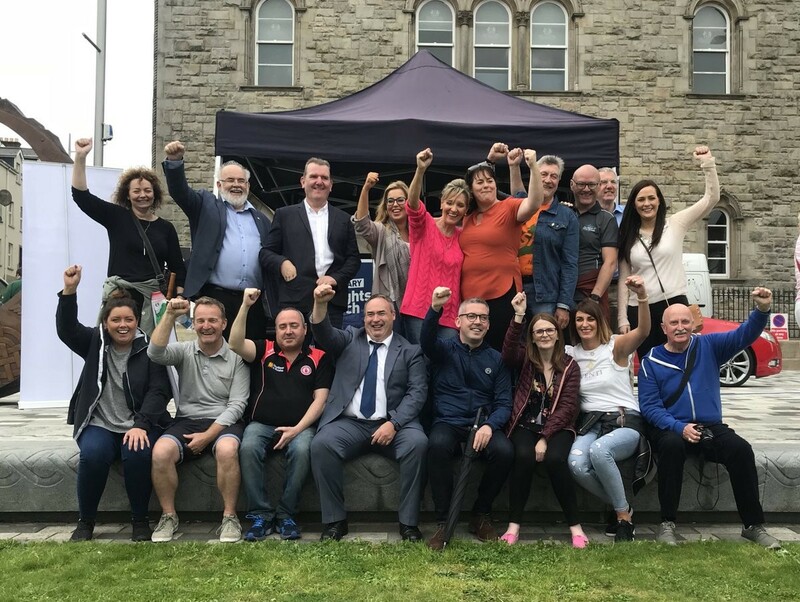 "People in the north still face attacks on their electoral and civil rights, alongside the continued denial of rights to LGBTQ couples, women, Irish language speakers, and bereaved families seeking a coroner’s inquest. “Today, we are experiencing an unacceptable blockade on rights, imposed by the DUP and facilitated by the British government. 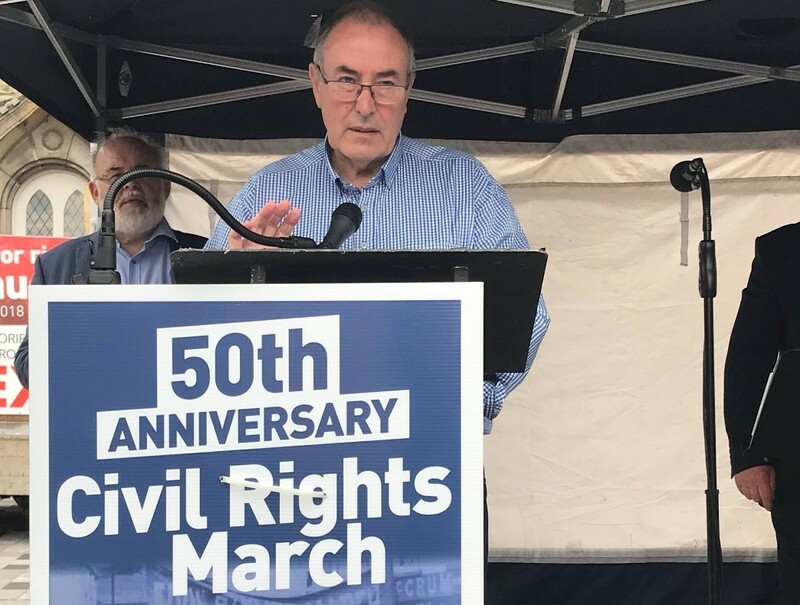 “Rights are also under threat by a right-wing Tory Brexit and there are unwelcome echoes of gerrymandering and the hollowing out of democracy by the recent Boundary Commission proposals. “The denial of rights, equality and respect is as wrong today as it was fifty years ago," he added.